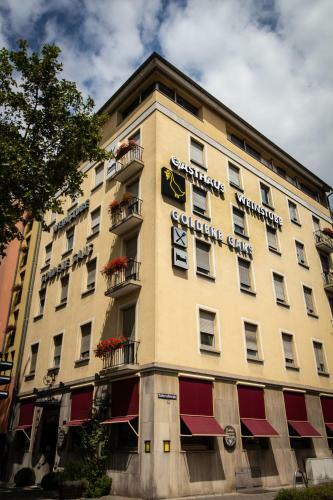 Lock in a great price for Gasthaus Goldene Gans – rated 8.1 by recent guests! I stayed there for 2 nights when Time Warp festival took place in Mannheim. A great location right beside the train station, shops and bars. The room was nice and big, with a fridge and table etc. The staff were friendly. I would stay again. 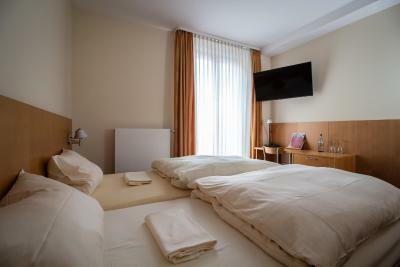 Small hotel, feels like home, good location and great cleanliness. Staff was lovely. Room was large and clean. Great location for work. Nice hotel very close to the train station friendly people actual German dinner and breakfast! Will absolutely visit again! The hotel has been family run for generations and it was obvious from the moment I entered that this family takes great pride in providing guests with first class service. 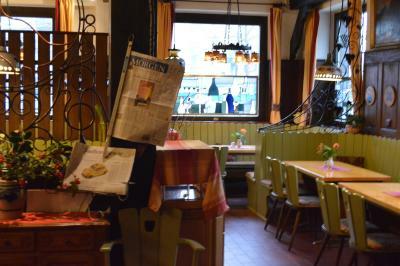 The Owner speaks excellent English and was very cheerful and friendly, as were all the other staff. 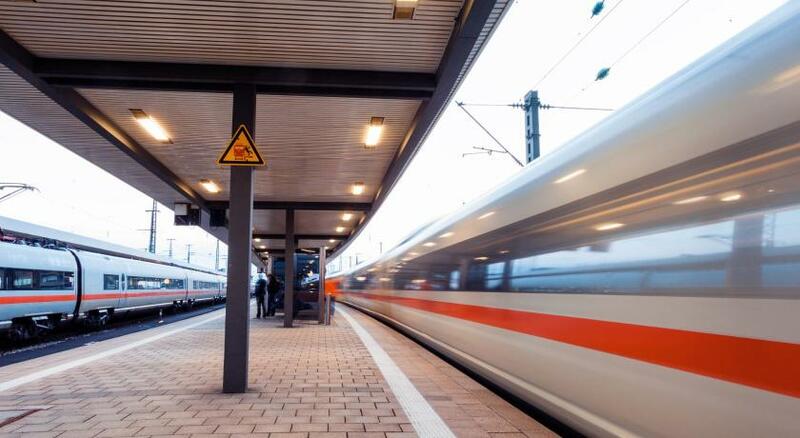 The hotel is just a few minutes' walk from the main railway station and a tramline to the planetarium, zoo and stadium runs within 100m. 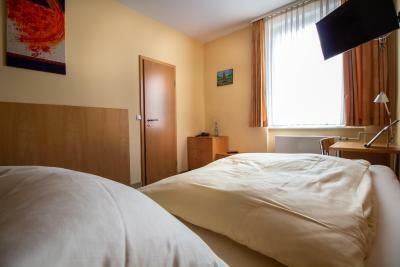 The hotel is safe and secure and the room was spotlessly clean and tidy. I didn't have breakfast, but from what I saw it looks very good. 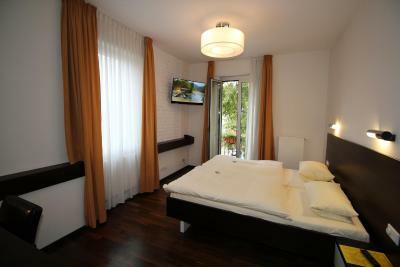 I would definitely choose this hotel if I came back to Mannheim and would recommend it to anyone. Room was fine and we were even able to watch live football on the telly!!! 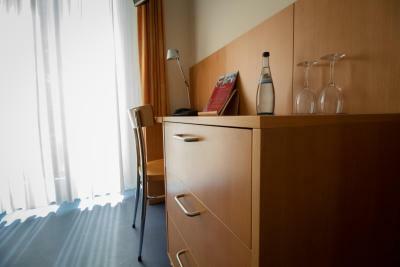 Hotel is very convenient for Mannheim Hbf and was very reasonably priced. We did not partake of breakfast. 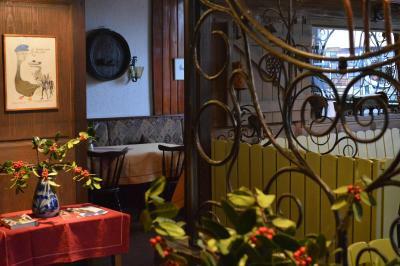 The restaurant looked lovely and if we hadn't needed to go out in the evening we would have eaten here. Breakfast looked good which we noticed when checking out. Would definitely stay here again. 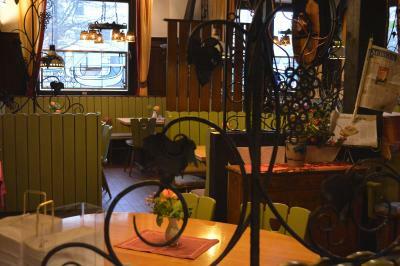 Friendly staff, excellent breakfast, perfect location, cozy room. Fantastic hospitality. Owner Eve is a gem. Breakfast is excellent. Enjoyed the free use of bike to ride along the river. So convenient to train. Good size room. 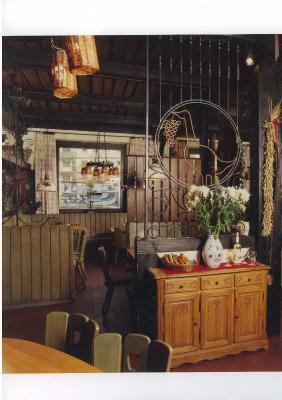 The location was perfect, very close to city center, train station. The free bikes are real, they gave me bike and even let me use it after my checkout! The was helpful and kind, the was very clean. 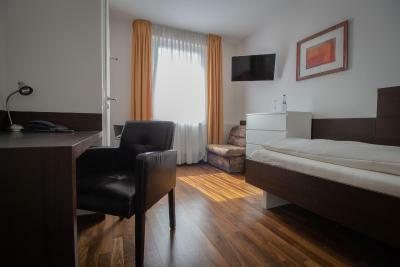 Gasthaus Goldene Gans This rating is a reflection of how the property compares to the industry standard when it comes to price, facilities and services available. It's based on a self-evaluation by the property. Use this rating to help choose your stay! 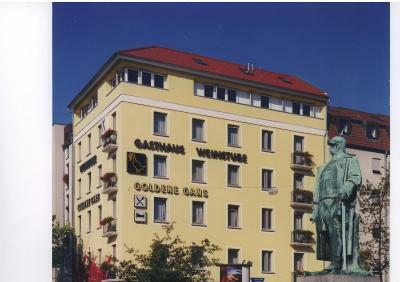 Gasthaus Goldene Gans is centrally located in Mannheim, 800 feet from the Main Station. The guest house offers free WiFi access, bicycle storage and a winery. 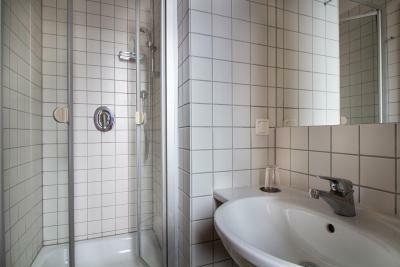 Each of the rooms at Gasthaus Goldene Gans comes equipped with a flat-screen TV and a private bathroom. A fresh breakfast buffet with home-made marmelade and fresh fruit salad is available each morning at the guest house, and the restaurant serves a range of regional and international specialties. A further selection of restaurants, cafés and bars can be found within a 5-minute walking distance of the accommodations. 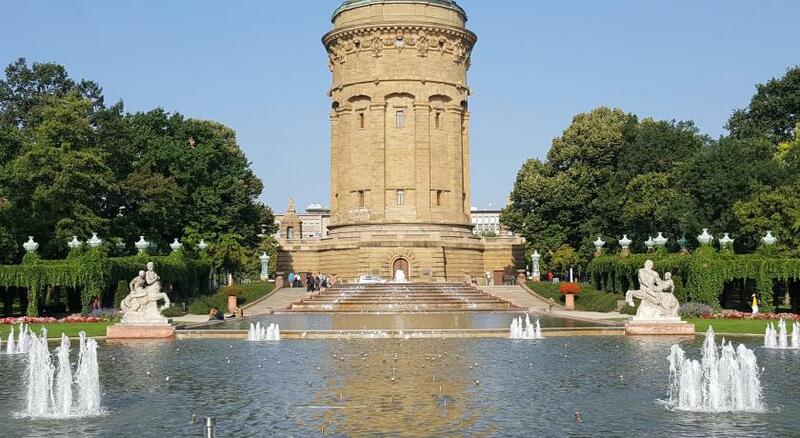 Mannheim Palace is 2,650 feet from the guest house, and Luisenpark, which was named one of the most beautiful parks in Europe, is a 15-minute walk away. Tattersall Tram Stop is just 450 feet from the accommodations. 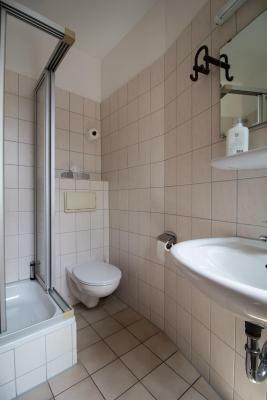 뀐 Located in the top-rated area in Mannheim, this property has an excellent location score of 8.9! 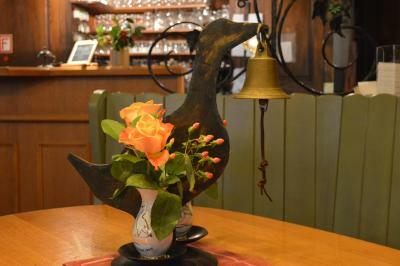 When would you like to stay at Gasthaus Goldene Gans? 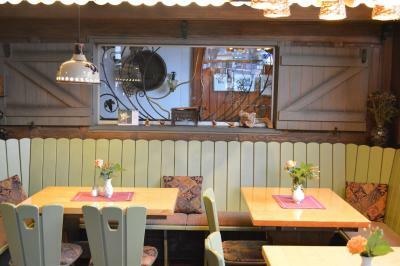 House Rules Gasthaus Goldene Gans takes special requests – add in the next step! One child under 1 year is charged EUR 10 per person per night in a crib. 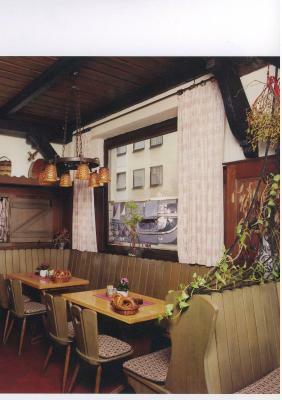 Gasthaus Goldene Gans accepts these cards and reserves the right to temporarily hold an amount prior to arrival. Please inform the property in advance if you will be bringing children. Please note that baby cots are only available on request, and are based on availability. Everything was very good for the money I paid except that I guess some people started pushing large boxes upstairs around 5AM and this happened on both days that I stayed there . It didnt wake me up because I was already awake due to jetlag. That was the only downside of my stay! The bed was confortable and there was a hairdryer. The furniture were a bit "démodé", but very well maintained. 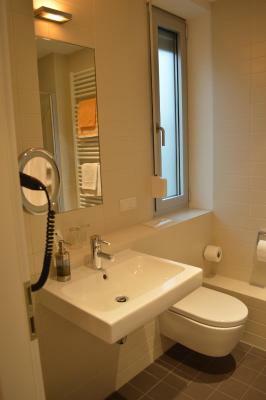 The room was very clean, functional and comfortable. The stuff was kind and available. 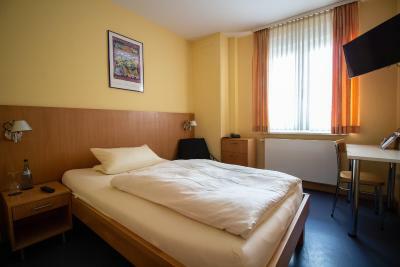 The price for £64 per night, for a single room, is expensive for this type of hotel, the rooms are basic, and this does not include breakfast, which it really should. The TV had just 2 English channels, BBC world + CNN...there should be more. Although it was great that the hallways were carpeted, which made them quiet and prevented noise from travelling, the rooms did not have carpet. It meant that I could hear furniture being continually scrapped along the floor above. This was a great hotel to stay in the winter, but it would get so hot in the summer months without Air Conditioning. The carpet throughout the hotel corridor was a bonus as there weren't any noisy hallways. the staff were lovely and polite. The location of the hotel is excellent. 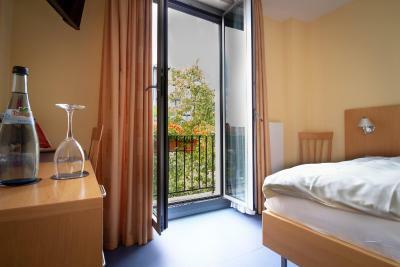 3mins walk from the Main train station, 30 seconds walk to Lidl (supermarket) and Tram, and a 4min walk to the town centre. I really did have a good stay. Shower curtain clinging to me in the tiny shower. I have received a room which did not appear in the photos and was a totally different from those from the photos. 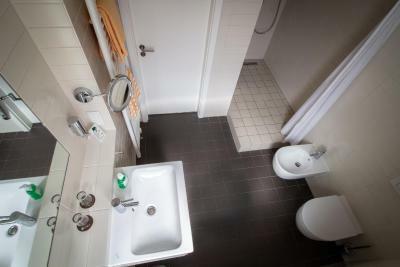 It was less that a low budget room and I have paid more than than 100 euros/night. When I said this is not what I have booked, they tried to change my room to another one that looked the same as the one I have received. The breakfast was ok, but did not have many choises: boiled eggs, 2 types of ham, 2 tipes of cheese, 2 types of juice, 2 types of vegetables, joghurt and cereals. 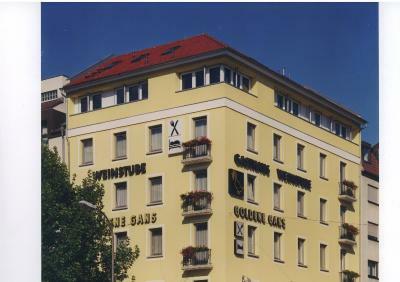 The hotel is close to the city center and the train station. The rooms are a bit outdated. 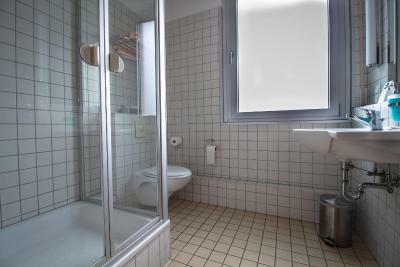 It is clean, but the bathrooms in in 70's style (brown tiles). The staff is very friendly. The hotel has bikes that you can use for free. Good bed, quiet room, shutter ensures that room is dark. Located at walking distance from main station. The wi-fi connection was poor at first. However, the host made everything possible to change this and by the end it was much better. 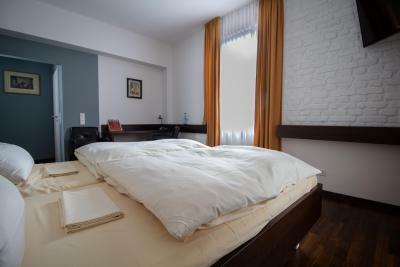 The location is right in the center of the city, just a few minutes away from the central railway station. The staff was very friendly and helpful. It was very clean.